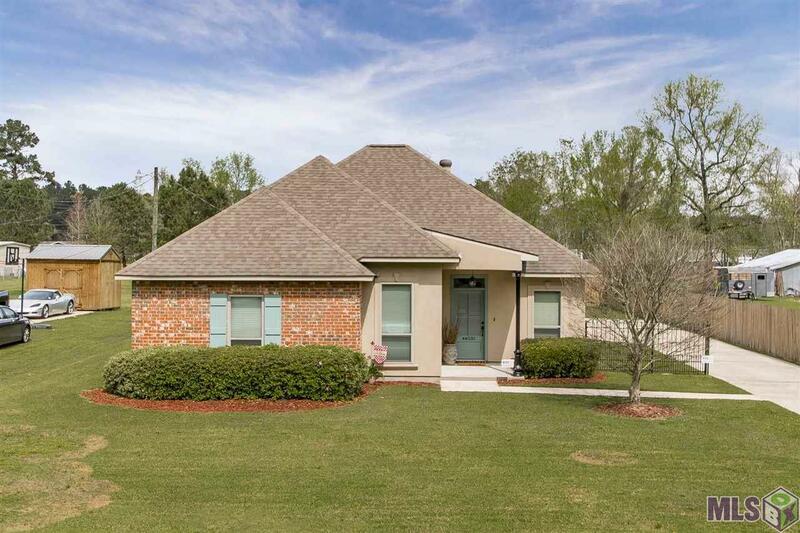 This beautiful custom built 3 BR, 2 bath home on a half acre lot in the desirable city of Prairieville with the excellent Prairieville schools is a must see! Updated interior colors, fresh paint, beautiful white cabinets, granite counter tops and stainless appliances make this beautifully appointed kitchen in this open floor plan excellent for entertaining! Home is only 12 years old and boasts of high ceilings, crown moulding, and a master bath suite with large jetted tub, separate shower, his/hers vanities and a very large master bath closet. Exterior has a huge yard, 2 car carport, & deck for entertaining. Home is in an X flood zone and did NOT flood! Don't miss out on this one! Exterior: Deck, Landscaped, Storage Shed/Bldg.